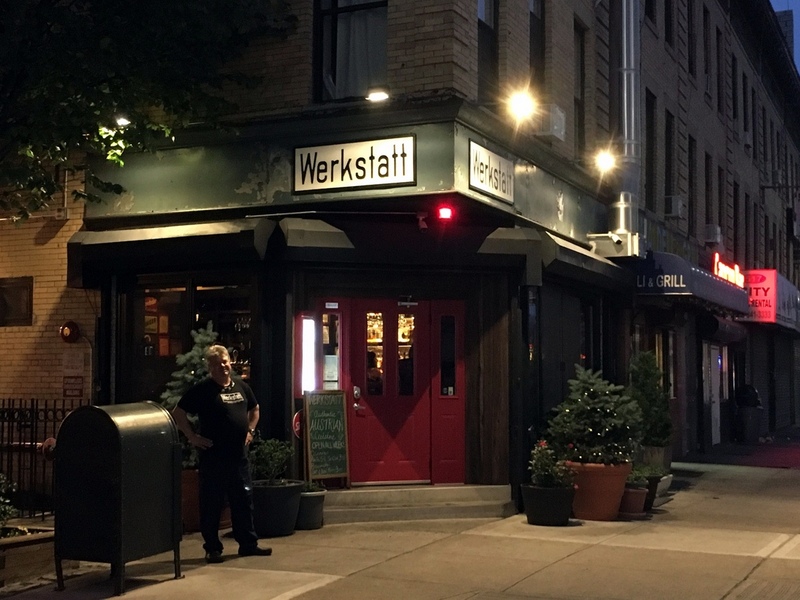 So why did it take 9 months for me to get to Werkstatt? Because its the lone Google Star in an area that I rarely visit. Ditmas Park is like Family Guy. I never seek it, but when I bump into it, I stick around and delight in its offerings. Though something tells me I will be back sooner than later. 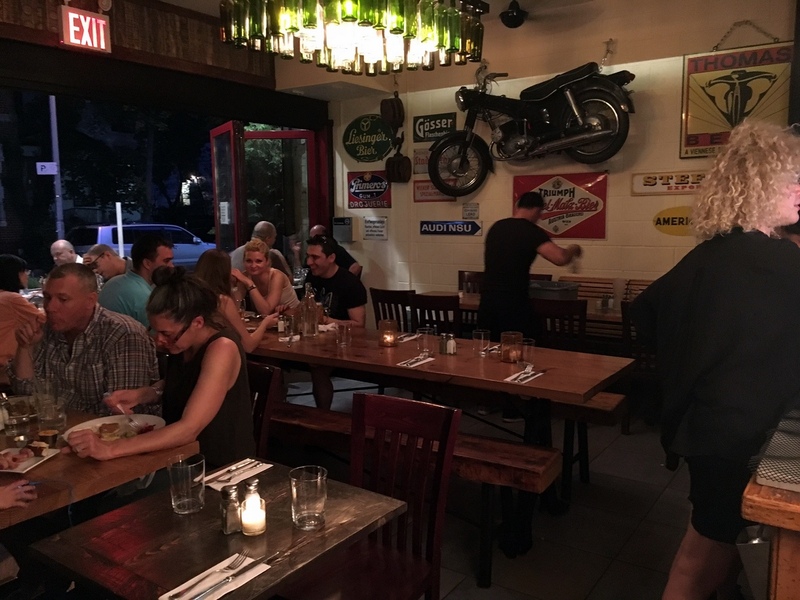 Not so much for the other places in Ditmas Park, but this particular one. Where the German beer just keeps flowing, and the pretzels keep coming. Well, one pretzel really, which comes with its own Lipitor. 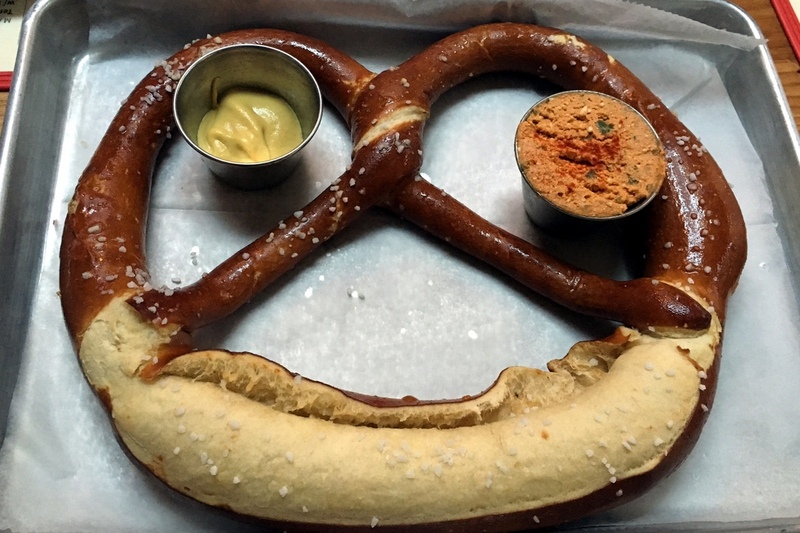 Or is it “Liptauer”, a buttery, cheesy, peppery, paprika infused mixture that requires a German born pretzel the size of half a pretzel cart to enjoy. Forget the mustard, dip this beast in the Lipitor. That pretzel was pretzel perfection, and it was making me thirsty! 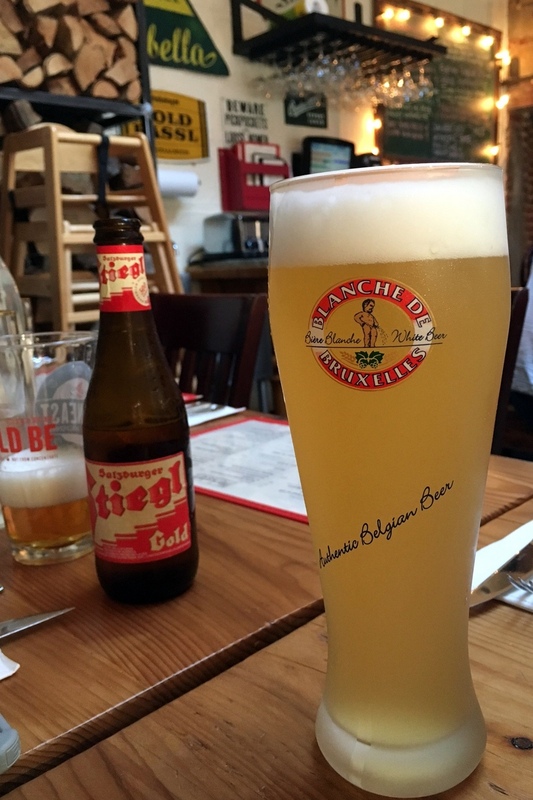 A silky smooth, light Belgian Witbier (white beer), a perfect match to the humid day. 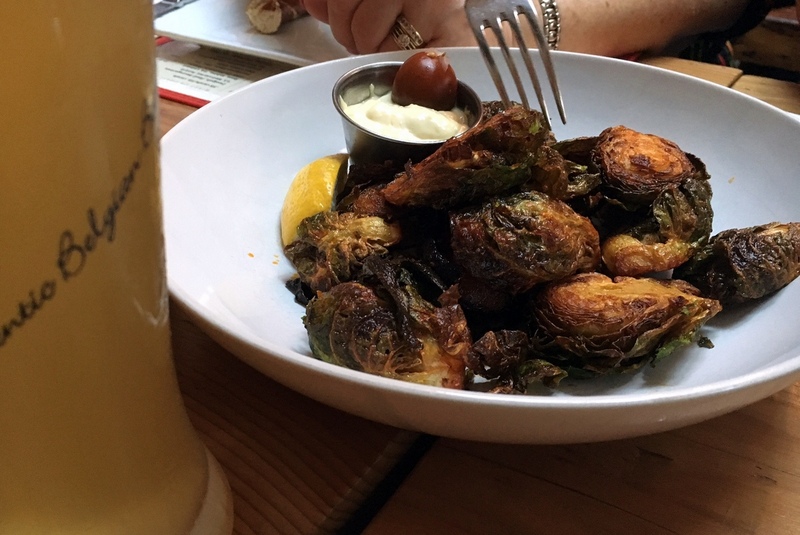 The smoky pan fried Brussels Sprouts with lemon habanero aioli was more like a side dish but a required order nonetheless considering how satisfying. 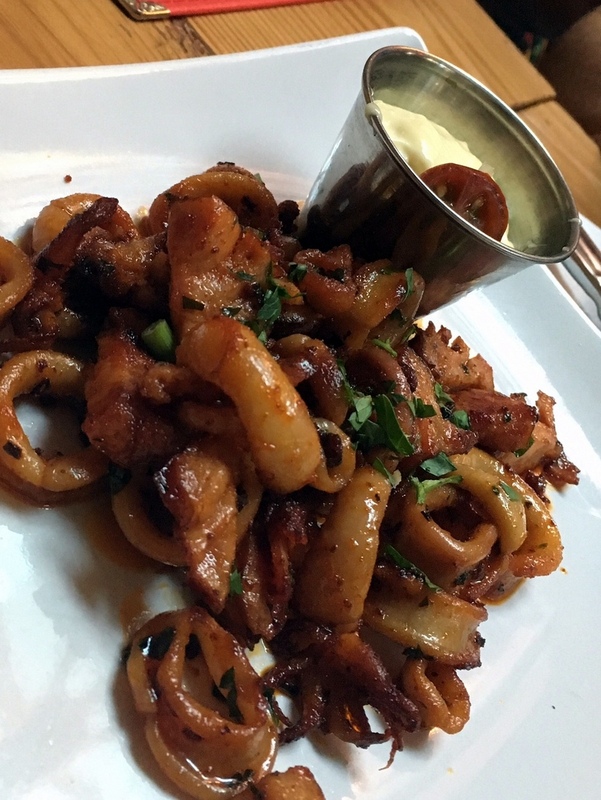 But the winner early on was a sauteed Calamari and Kielbasa blend, a gorgeous combination I’ve never seen before. 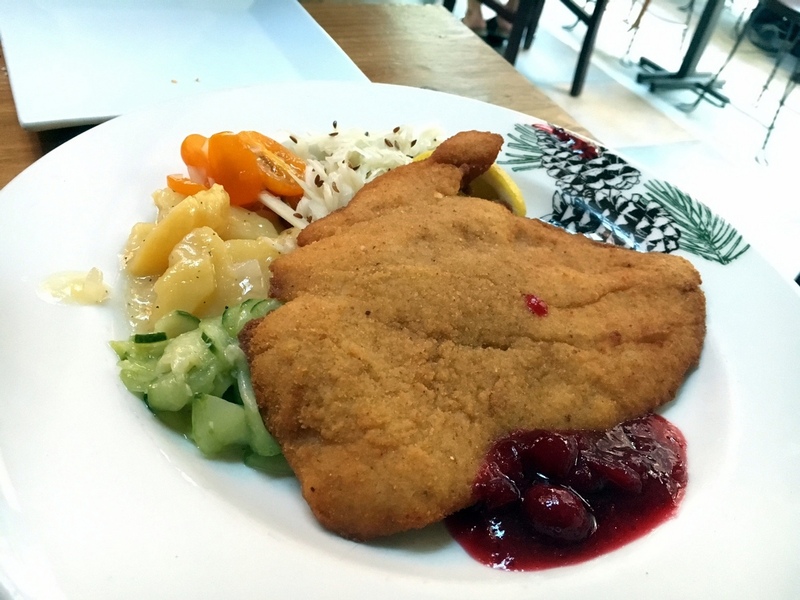 Everyone was more than satisfied with their Chicken and Wiener (pork) Schnitzels including my buds from the one bite. 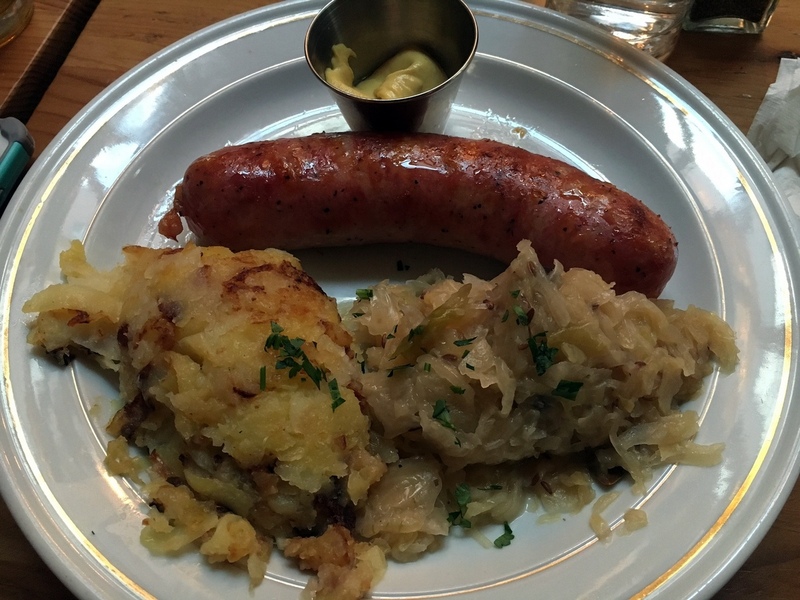 A fine, juicy, homemade Bratwurst came with sauerkraut and potatoes. 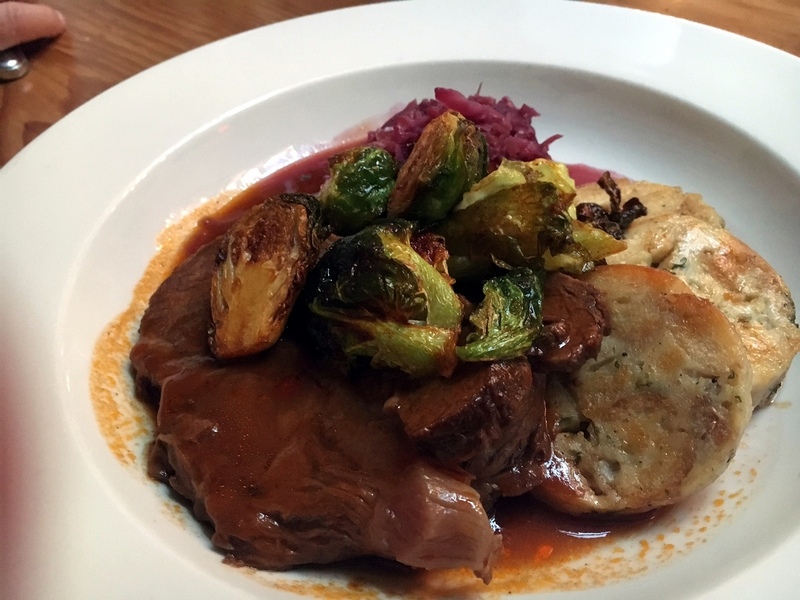 And an exceptionally tender slices of goulash-like beef shoulder with bread dumplings that took me straight to Salzburg. This was a special, which in Werkstatt require paying attention, or you may miss the world famous Viennese Sacher Torte. As much as I love my sweets, chocolate cakes rarely excite, and the one here (Sacher) wasnt an exception (nor in Vienna). But if there’s anything the Austrians are good at, is desserts, and boy oh boy there were good at Werkstatt. 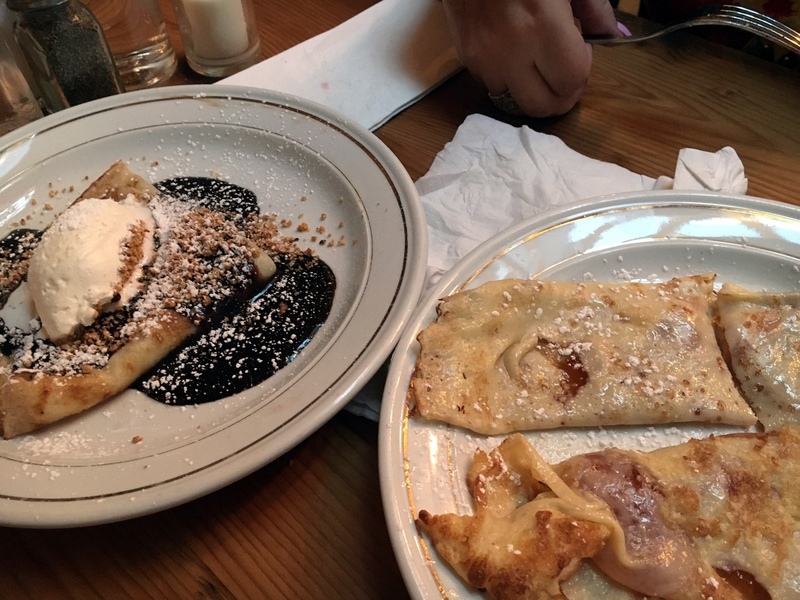 The crepes, the nutty Linzer, the creamy hazelnut torte, they just kept coming, and wowing. This was also an especially fun evening for Thomas Ferlesch and family (wife and daughter). Not only visited by a world famous blogger, but also by Mimi Sheraton, a former influential NYT ciritic who handed the then young Ferlesch 4 stars back in 1981 when he worked for Vienna ’79 (UES). A happy, sentimental Ferlesch was running around all over the homey multi room place like a 24 year old again. Or perhaps he’s always like that, who knows. 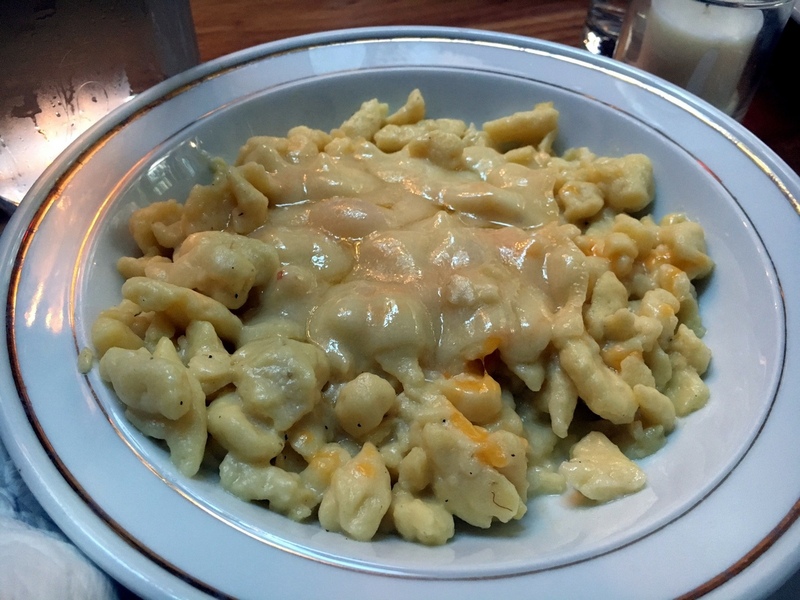 The best compliment I can give any such place is that if I would have had this meal in the cuisine country of origin, it would still be considered a good meal. Something I can not say with the vast majority of the places we go to. Go! Is that Glenn Close, circa Fatal Attraction, in that second to the last photo?